Discover What Opportunities 2019 Brings To Scorpio! The first half of the coming year will be very advantageous for your love life. Existing relationships will be peaceful and harmonious. Single Scorpios may find themselves getting closer with one of their platonic friends. You will need to put more effort into your relationships starting from November. During 2019, the professional sector will be in focus of Scorpio’s life. You will need to show your expertise and responsibility. Though significant challenges are in store, if you manage to strengthen partnerships, you can achieve some progress. Financially, 2019 is going to be an advantageous year. Scorpios are recommended to have a balanced diet, to maintain a good state of health in the coming year. Eat more vegetables and avoid high-fat foods. Don’t forget to stay hydrated. As for physical exercises, Scorpios may take interest in aquatic sports or martial arts.  What Sign Is The Perfect Match For Scorpio?